Bill Turnbull explores the significant role of Westminster Abbey during HM the Queen's 60-year reign; the Bishop of London reflects on her lifetime of faith. Browse content similar to The Queen's Coronation. Check below for episodes and series from the same categories and more! when a young Princess Elizabeth arrived at Westminster Abbey. as people crowded round television sets to watch the service. a reign of six decades and a lifetime of Christian faith. and there is spectacular Coronation music from Canterbury Cathedral. but also Defender of the Faith and Supreme Governor of the Church of England. of Anglicans worldwide is Canterbury Cathedral. is the cathedral's own tribute to the Queen's Coronation. Let us greet our newly installed Archbishop with great gladness. and amazingly, she has now reigned over seven of them. Q-U-I-R-E - through that screen to the east. And it's in the quire that we're having our musical celebration. This is St Augustine's chair. He was the first ever Archbishop of Canterbury some 14 centuries ago. from churches, choirs and schools around Canterbury. beginning with Hubert Parry's I Was Glad. The Queen is no stranger to Canterbury Cathedral. as a young Princess Elizabeth in 1946. Cressida, thank you very much for letting us into the library here. You've got some wonderful memories of the Queen's earlier visits to Canterbury? Yes, indeed. Starting in 1946, which was her first visit to Canterbury. for the preservation of the cathedral after World War II. In the cathedral itself, there is a painting commemorating the occasion as well. -It shows the royal party leaving the quire area. if you like, are the King and Queen. And just behind them is the Princess Elizabeth. Yes, she's walking very much behind her parents. Just a few years later though, she was to become Queen herself. And to mark that occasion, the cathedral has its own window. but also the Coronation of her father, King George VI. Why is it important for the cathedral here in Canterbury to have a royal connection? and Canterbury Cathedral is the mother church of the Church of England. So it's very important that there is a strong connection with the monarch. The next major visit was the visit for the Royal Maundy in 1965.
but Queen Elizabeth has really made it her own. She has attached great importance to the Royal Maundy during her reign. very much making contact with the people. And she distributes the Maundy money which is an award. -And the next one at Canterbury was when? And you got a gift of your own that day, didn't you? Well, not quite a gift! one of the Maundy posies. It didn't appear to have an owner. I made a few enquiries and then it did seem entirely appropriate to take it home. I'm not sure whose it was. with two statues for the west front of the cathedral. So, a statue of the Queen and of Prince Philip. At which time, there will presumably be another service of dedication? -I'm very sure there will, yes. That, I think, is yet to be confirmed. -But it would be lovely to have them here? but also the royal chapels. from your work as Dean of the Chapels Royal. the Queen is someone who is of deep spiritual faith. hasn't it, from her Christmas broadcasts? and she has always had a very firm and deep faith. with a very great turn in the tide. everybody was convinced that the story of God would have only one ending. And it would be relegation to the leisure sector. It would be the harmless hobby of fairly eccentric people. Well, nobody is saying that now. she is being much more explicit about her own faith. we treasure the concept of that Coronation as much as we should? the actual event is hugely uniting. although at that time, Britain was emerging from austerity. I remember, I think I still had my own ration card. In 1953, we still had ration cards then. And it had been a rather drab, austere world as we recovered. There were bomb sites everywhere in London. So, I think the Coronation had a particular role there. has always been beyond what people might expect. which is why, of course, the Queen has to be very careful. She knows very well. Because what she says is remembered for a lifetime. looks quite easy, but actually, it is an enormous responsibility. if you're thinking about the PR profession, public relations. They're all experts on how you keep yourself in the public eye for about 10 years. Because after 10 years in the public eye, people are very tired of you. The choir of Westminster Abbey played an important role in the Coronation service. where they had a bird's-eye view of the unforgettable scene below. We were in a specially created sort of box, if you like. And we were on the front row. We always liked to be in the front row. So we had as good a view as was possible to have. because that wasn't readily in our vision. to make sure we were doing what we were supposed to do. and check it out, which was great. And your memories in living colour. in grainy black-and-white, not great sound. But, you, of course, had a box seat. It's perhaps a strange word to use, but it was the "glamour" of it. and purple and red and diamonds and what have you. An extraordinary feeling, a bit like a major Hollywood movie in a way. That was the overriding feeling that I got. And there were certain moments which were quite extraordinary. it seemed to be very, very slow before it actually got there. And the yell from the boys of Westminster School shouting, "Vivat, Vivat, Regina!" I get goosebumps thinking about it. that actually, you were in the presence of history. You must have been stuck up there for some time. I think it was about six hours. we were allowed to bring a packed lunch. Were you eating during the service?! Yes, absolutely. That was a no-go area, as you can imagine. That was not part of the discipline. for a specially commissioned anthem called O Taste And See. It was a huge honour, of course. then at least the other two would come in. I was the boy who got nervous. SOLO CHOIR: "O Taste And See"
-I did come in slightly later, but full throttle once I got there. but some moments would have stood out more than others. For instance, when the Queen first entered the Abbey. powerful pieces of music one would ever have the good fortune to sing. And I loved that. It was great. The last rehearsal, which I believe was when Her Majesty came. and she processed from the Great West Door to the High Altar. if we could sing a little quicker because the crown was heavy. -I think I didn't make that up. Very happy days indeed, yes. I feel a huge sense of pride. to have been a part of this extraordinary ceremony is truly great. based on the Old Testament words from the First Book Of Kings. It's been sung at every coronation since that of George II. at the very moment she became sovereign. in Handel's glorious anthem, Zadok The Priest. with Elizabeth, our beloved Queen. Grant her your gifts of love and joy and peace. Now, and all the days of her life, through Jesus Christ our Lord. to attend a service to celebrate the 60th anniversary of her Coronation. And, of course, we send our very best wishes and congratulations to Her Majesty. of Christian faith and dedication - Great Is Thy Faithfulness. 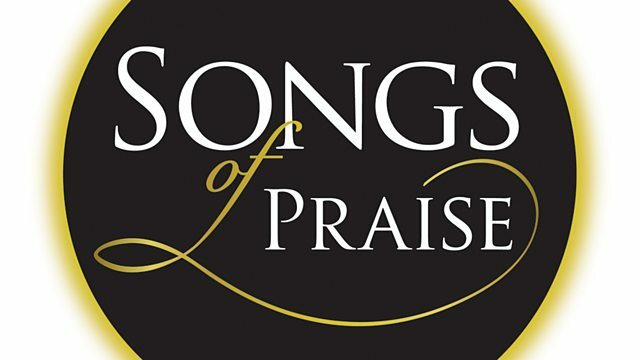 sung by congregations from all over the country. at The Royal Albert Hall on Sunday, September 8th. it's going to be a pretty special occasion. Here is the phone number for you to purchase tickets. and an additional connection fee may also apply. Calls from mobiles may cost considerably more. The Big Sing is always popular, so you'll have to be quick. If you're going to be there, I look forward to seeing you. you'll have a front-row seat by staying just where you are. Bill Turnbull explores the significant roles of Westminster Abbey and Canterbury Cathedral during HM the Queen's 60-year reign; the Bishop of London reflects on Her Majesty's lifetime of faith, a solo chorister describes taking part in the big day in 1953 and celebratory music sung in Canterbury Cathedral includes the glorious Coronation anthems I Was Glad and Zadok the Priest.